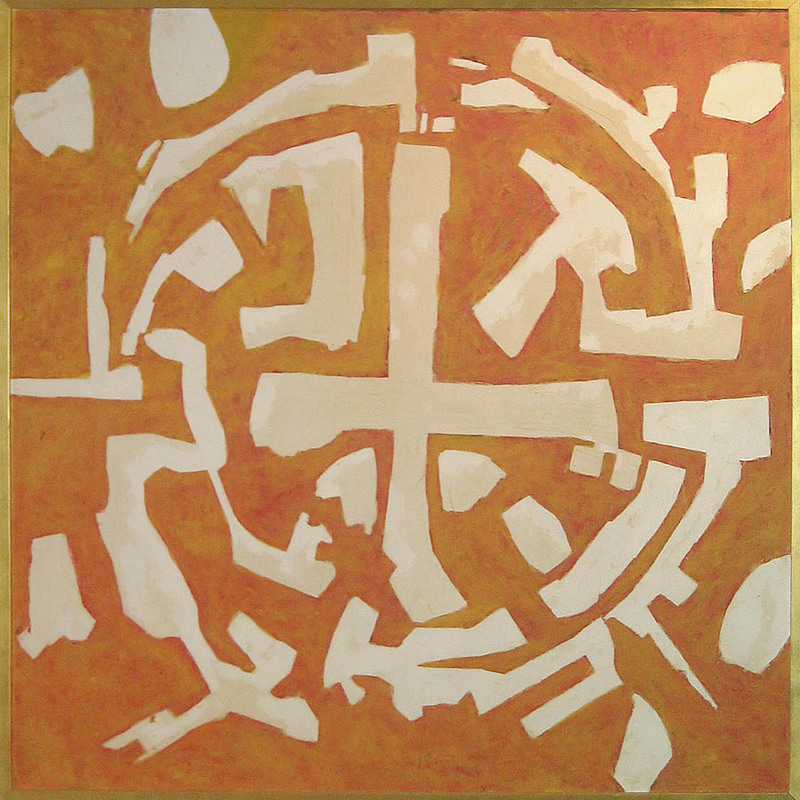 FOR A PAINTER who has never had an exhibition to call his own, Ronald Bloore owns a considerable reputation. His paintings have been bought by the National Gallery and some important private collectors, he was included in the Canadian display at last year’s Sao Paulo biennial, and he is part of the current national touring show, “Five from Regina”* organized by the National Gallery. At the same time he has won a wide reputation as a museum director, during four years in charge of the Norman Mackenzie gallery at Regina College,** perhaps the most distinguished modern art gallery in the west. This week, at the age of 36, Bloore has his first one man show, at the Here and Now Gallery. It places in perspective the work of an important Canadian artist who has previously been represented in Toronto by only one or a few pictures at a time. Bloore is a close artistic relative, if not exactly a descendant, of Barnett Newman, the New York master of cool, monumental, classic, non-objective art. Bloore works (in this show, anyway) on a smaller scale, and his work contains rather more directly expressed emotion than Newman’s. He is most certainly his own man. His works have more power than is possible within a borrowed frame of reference. 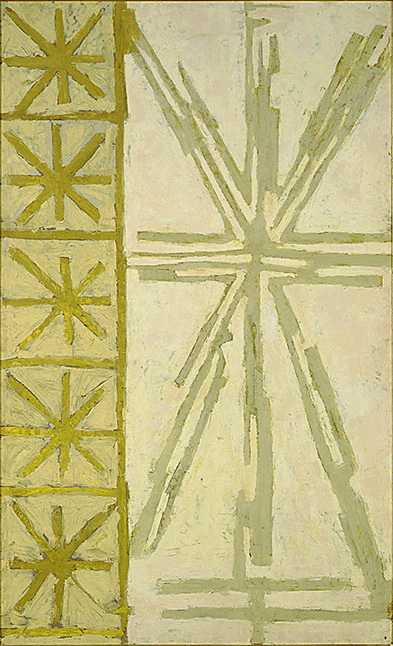 With the greatest possible economy - his titles, like “White Line Painting” and “White Cross” are almost exact descriptions - Bloore’s paintings achieve a classic elegance, commanding the walls on which they hang, filling the gallery with a unique strength. They have tension, grace, and an exciting sense of urgency. Only once in a while does he go beyond utter simplicity, and then he sometimes fails: “Green-Yellow Painting,”*** though perhaps effective enough on its own, seems almost vulgar in this austere setting. But one other excursion into richness, “Byzantium,” is a total success. * The touring exhibition organized by the National Gallery was called “Five Painters from Regina.” Not simply Five From Regina which would have been kind of catchier. ** The Regina College had in fact just become the Regina Campus of the University of Saskatchewan in 1961. *** Bloore’s titles were of course intended to be mere descriptions, not really titles at all. That being said however, the green-yellow painting was actually “Yellow-Green Painting”.